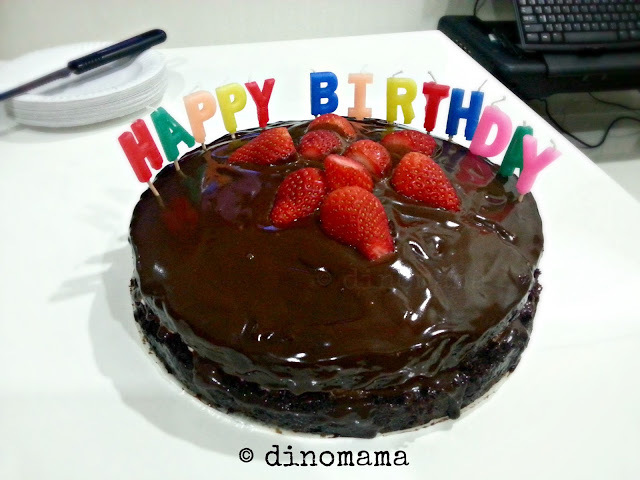 One, Two, Three Birthday Celebrations! 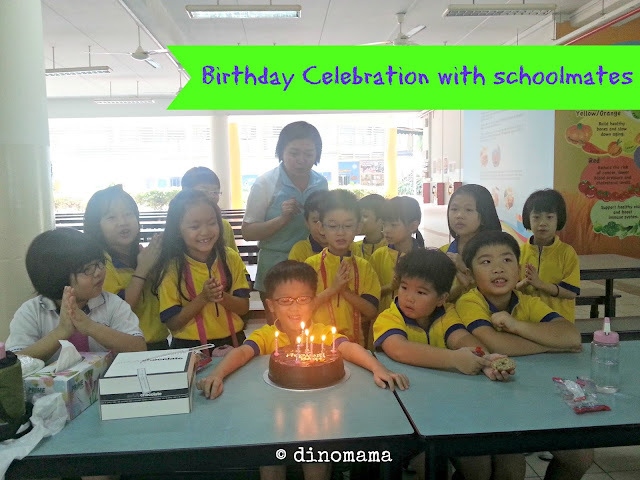 Last week when I told DinoBoy that we will not hold a birthday party for him like the last 6 years he was very sad. He kept asking "why?" and begged me with "can we have one PLEASEEEEE!" so many times till my heart breaks. I should have guess that birthday parties definitely mean a lot to children, especially they are the one celebrating it. With only a few days on hand, I had to make last minute birthday party plans for my little precious boy. And I think I did well with not one but THREE mini celebrations for him. 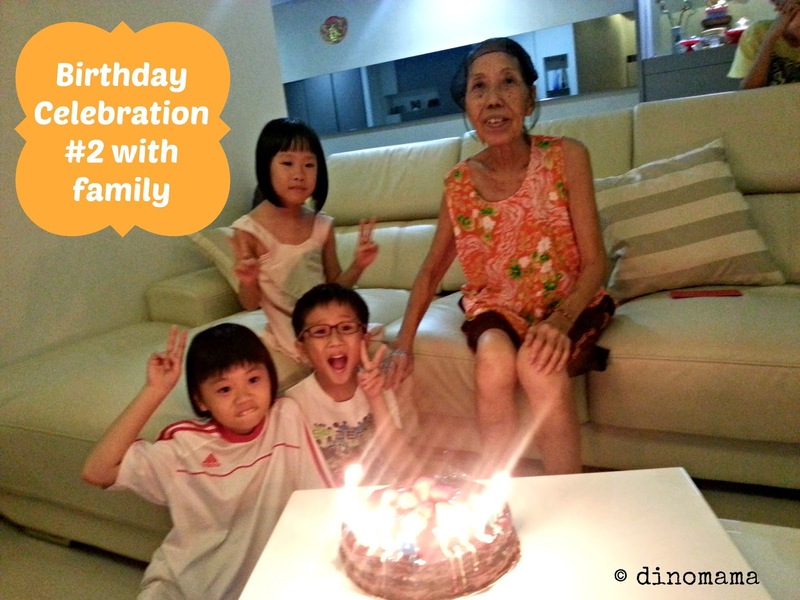 A small celebration with the family at DinoUncle#1's house, look at the happy faces on DinoGranny and the kids, especially DinoBoy's! DinoBoy wanted strawberry chocolate cake and strawberry chocolate cake it is! The some what plain looking cake suddenly perks up bright and cheerful with the colorful "Happy Birthday" candles that DinoAunt bought. You can see how excited he is when DinoUncle#2 is lighting up the candles. 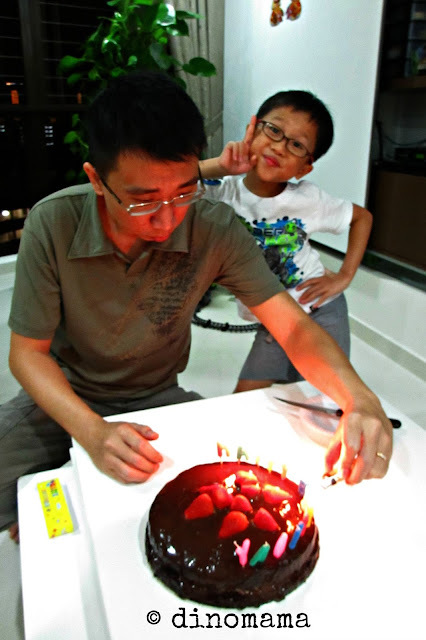 He just couldn't wait for the candles to be all lighted up and for us to sing the birthday song to him. 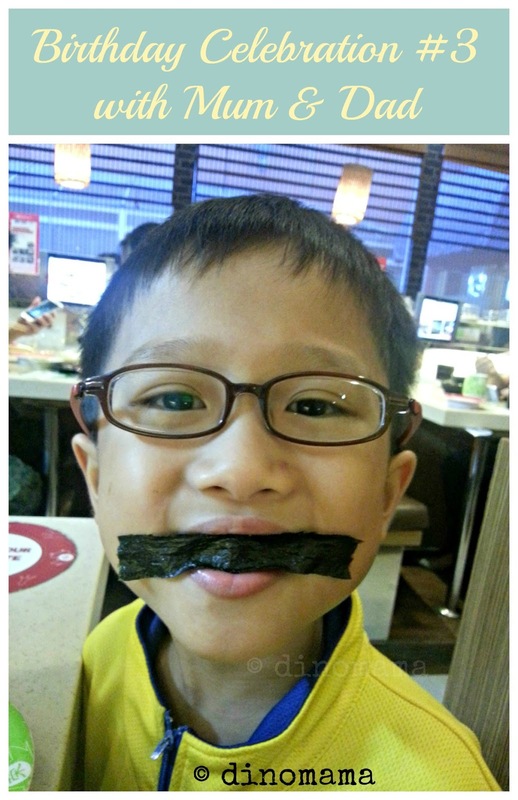 DinoBoy was surprised that he is going to have dinner at his favourite restaurant Sakae Sushi! I'm not sure whether its the excitement that makes him have a bigger appetite or he was hungrier then normal, he ate an extra plate of sushi before declaring that he had over eaten. This year, he did not have a pile of birthday presents waiting for him to open, instead there are only a hand made birthday card & a small key chain torch light from DinoCousin#2, toys from DinoPapa and a set of stationery from his student care teacher. Nonetheless, he had a great time celebrating it 3 times with family and friends and I bet this year's celebrations are the best. It looks like the entire family had a great time! I'm glad your little one enjoyed his birthday! Wow! How many other little boys get three birthday cakes? He's really lucky and his little face looks so happy. Visiting from UBC.